Use the Records Inventory Worksheet to list all of the elements and attributes associated with each type of record in the organization. Use this worksheet as the Exhibit A attachment to the Records Management Program Analysis Document. writing grant proposals for nonprofit and education organizations for twenty years. I wished I had known about Proposal Pack sooner. Because of Proposal Pack, I work faster, which makes my customers happy, and this allows me to have more time to take on more projects and earn more." 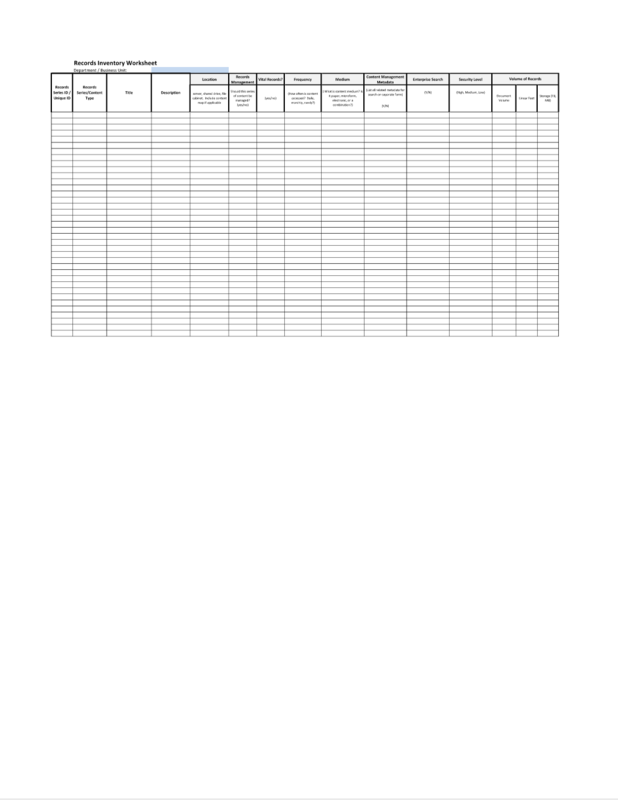 This Records Inventory Worksheet is included in an editable format that can be customized for your own needs. How do you write a Records Inventory Worksheet document? The editable Records Inventory Worksheet document - complete with the actual formatting and layout is available in the retail Proposal Kit Professional.